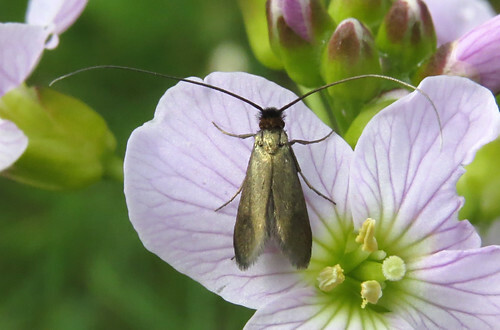 The middle of May saw an increase in moth diversity and totals recorded at Tophill Low NR, East Yorkshire. Pale Prominent Pterostoma palpina appeared right on cue along with the first Poplar Hawk-moth Laothoe populi – both common species, but a welcome change to the Orthosia dominance of the recent months. 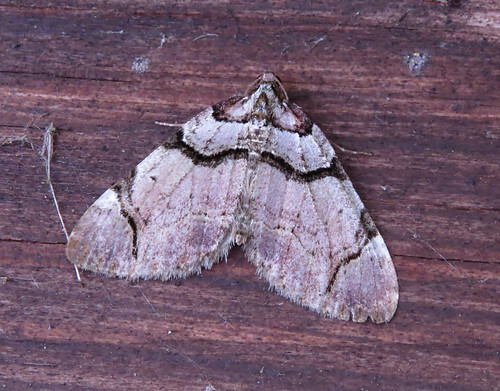 Following two Streamer Anticlea derivata in the early part of the month, the third of the year was taken at light on the 19th. First recorded in 1996, this the 11th site record. Least Black Arches Nola confusalis has also appeared at light twice this month, the 11th and 12th site records since 1996. 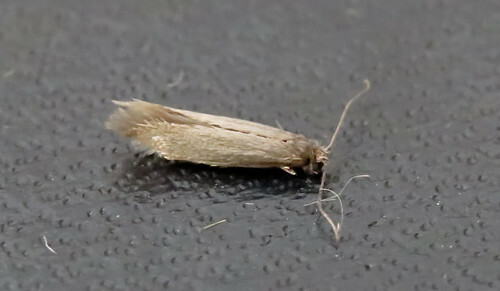 Another Tophill scarcity was this Tinea trinotella – the fifth record since first appearing in the traps in 2010. 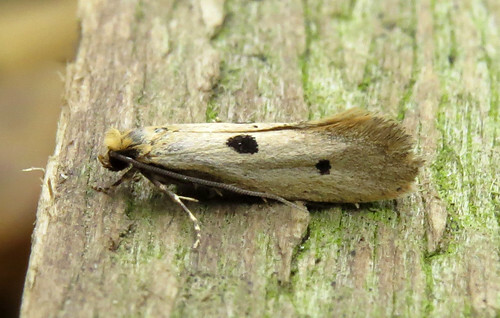 An uncommon Yorkshire species with less than 800 records in the county since first recorded in 1849. At just 6mm, Ocnerostoma friesei Grey Pine Ermel has proved to be something of an elusive species on site since three were discovered in 2012. All searches and trapping since have proved fruitless, so it was something of a surprise when this male was attracted to light on May 7th – just short of a kilometre from where the most recent individual was encountered. Genitalia dissection proved conclusive, ruling out the rarer O. piniariella. However, O. friesei is a Yorkshire rarity with only 23 records since it was first discovered in 1941, and not recorded in VC61 since 2012 (per Yorkshire Moths). 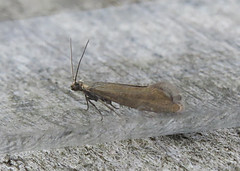 Adela reaumurella appears to have bounced back from a poor showing in 2015, and once again the scarcer Cauchas rufimitrella was on the wing from the 19th. The species has only been recorded in one particular area on site since first appearing in 2013 – last year’s flight season lasting just three weeks. Grapholita jungiella is a species that may be missed during 2016 due to the current weather. 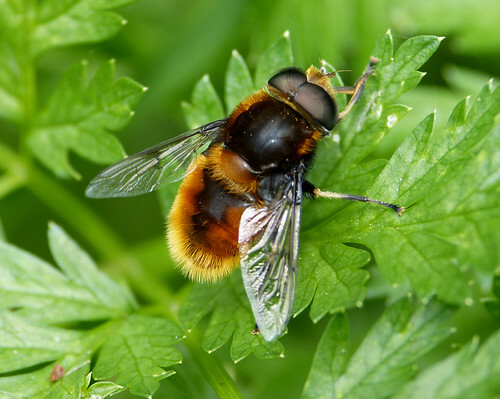 Only one was recorded in 2015 at Tophill Low, and given the species’ preference to one particular area since 2011, finding it during the short flight period may be something of a challenge. Classed as common in the area (per Yorkshire Moths notes), the status is rare and local resident – and all searches so far this year have yielded nothing. The Hoverfly year list, and site species list, continue to grow – this Eristalis intricarius posing nicely for Doug Fairweather in recent days. After an incredibly unusual start, which at one point saw more species of dragonfly than damselfly on the wing in Yorkshire, the 2016 Odonata season has now returned to something more expected. Numerous Four-spotted Chaser Libellula quadrimaculata have been seen emerging in the last week or so, and Blue-tailed Damselfly Ischnura elegans and Red-eyed Damselfly Erythromma najas had finally taken to the wing at Tophill by the 19th – somewhat later than expected. 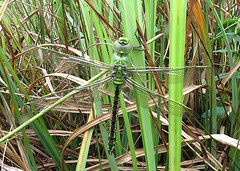 Searching has also turned up a few more exuvia of Hairy Dragonfly Brachytron pratense, though adults are predictably few. 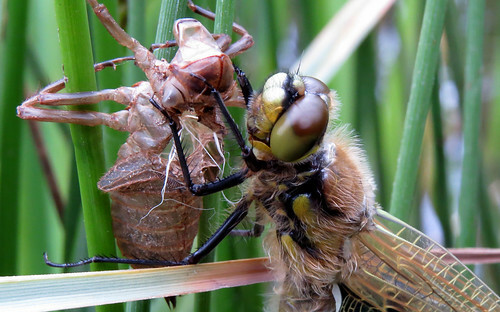 For the latest Yorkshire Odonata news, check out the website sightings page, and for the latest news from Tophill, check out the official blog.